As it turns out, the new tab page in Chrome is less of a plain background and more of a blank canvas. Not only can you spruce up its looks, you can even customize it’s functionality. Here are two different approaches for how to change the new tab page in Chrome. Chrome gives you ways to do basic aesthetic personalization right out of the box by providing a menu for setting a background image that will appear every time you open a new tab in Chrome. The browser even has you covered in terms of wallpapers, as it ships preloaded with a set of sample background images you can apply to your new tab page. To set this up, you need to open a blank new tab. In the new tab, click the gear icon in the lower-right corner to bring up a background selection menu. From here, you can either choose a background bundled with Chrome or pick one from your computer’s hard drive. Open a new tab and select the gear icon in the lower right corner of the page. Choose an image thumbnail from the category. 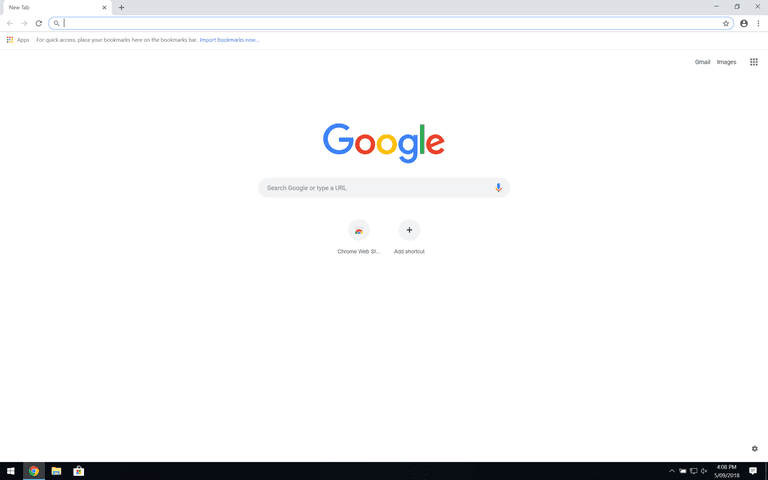 After waiting a bit for your chosen background to load, Chrome will drape it behind your shortcuts on your new tab page. Find and select to the image file you want to upload, then select Open. If at any time you want to reset your background, select the gear icon, then select Restore default background. This will revert the new tab page to the stock blank white new tab page that you get normally. Whereas Chrome’s built-in options only change the background image for new tabs, extensions can change how new tabs work entirely, such as by adding functionality. In the Chrome Web Store, you can find new tab extensions that do everything from removing the website shortcuts to make room for the wallpaper, to adding productivity tools like calendars and to-do lists. You shouldn't have more than one new tab extension installed at a time, as this may cause degraded functionality or other errors. In your browser, navigate to the Chrome Web Store. Type “new tab” into the search bar and press Enter. Select the new tab extension you want and select Add to Chrome. From this point forward, as long as you have the extension installed and enabled, the extension’s new tab layout will be loaded instead of Chrome’s native one. Right-click the extension's icon to the right of the address bar. Your new tab pages will instantly revert to the blank, stock Chrome new tab page, allowing you to install a new extension or use Chrome’s menus to customize it.